The Neck Wallet/Badge Holder is a simple, yet durable office identity accessory made using 420D nylon. It has two zippered pockets in front. The Neck Wallet/Badge Holder is a simple, yet durable office identity accessory made using 420D nylon. It has two zippered pockets in front. There is a breakaway neck cord attached for safety. Screen print your company logo in the front using standard silk screen colors. 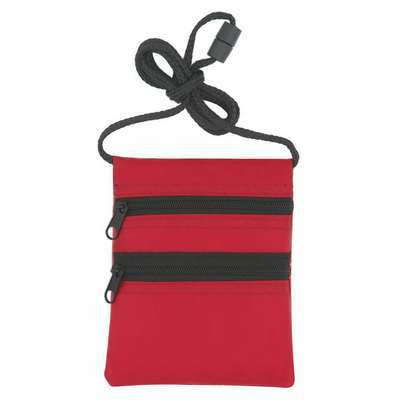 It is available in attractive colors including: black, red, or royal blue, with a bold and attractive black trim and cord. 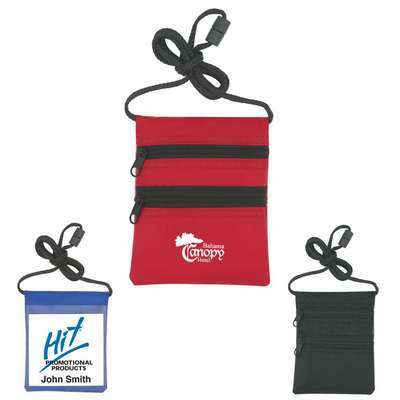 By using this neck wallet/badge holder with cord, you can promote your brand in a simple, yet meaningful way.